X6000 series test modules are high-performance professional load modules running on TestStorm series and support all the features of TestStorm platform. X6000 Series deliver complete wire-speed traffic test and protocol emulation for network equipment and network systems to meet the testing requirements in each stage of R & D, experiment. X6000 series test modules are high-performance professional load modules running on TestStorm series and support all the features of TestStorm platform. X6000 Series deliver complete wire-speed traffic test and protocol emulation for network equipment and network systems to meet the testing requirements in each stage of R & D, experiment and quality control. 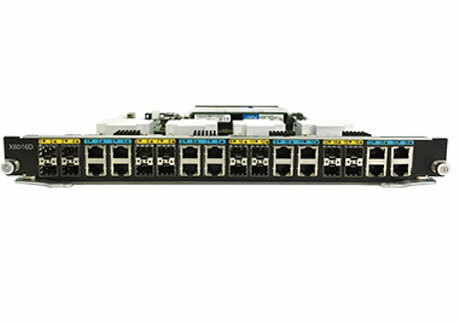 X6000 series test modules support up to 16 gigabit COMBO ports and support Cross-chassis synchronizing to provide large-scale protocol emulation, performance test and mass traffic stress test of Layer 2-7 network device. X6000 series modules support TeleExplorer, TeleAPP to meet different test needs. TeleExplorer is a standard test suite providing L2-7 test functions with powerful and flexible configuration. TeleAPP is a test suite to provide automated test of RFC2544 /2889/3918 with easy-to-use configuration and necessary test report output. X6000 also support TCL and API to meet customized testing requirements. Intuitive display of frames’ features such as source IP address, destination IP address, type of protocol and etc. In order to ensure the normal use of the Network Emulation Tester, the switch must be tested before the switch is used. According to the different operation modes of the Ethernet Quality Tester processing frames, it can be mainly divided into two categories.